Look for your Home in the sun? Have you ever wanted to spend long Sunny days for extended periods of time and being able to live locally and call home the place you like to spend holidays? Having a second home is always a dream, specially when you live in colder parts of Europe, the dream of having a HOMEINTHESUN and being able to disconnect from the normal daily routine in a place where you can feel home just a couple of hours away flight. Life in Lanzarote offers a mix of Security and tranquility, uncrowded beaches and a wide natural habitat with very friendly and welcoming people in a relaxed pace of life, but always having the option to have fine dining, great beaches, bars, shops and also at an affordable price. Investing or selling a property in Lanzarote can be very stressful, there are a series of steps that need to happen for a property to be sold or bought not accounting for the language barrier that makes it more challenging, specially for english speaking people, thats why it is ideal to contact a Bilingual professional estate agent that can clear doubts and solve problems before any purchase or selling of a property in Lanzarote . 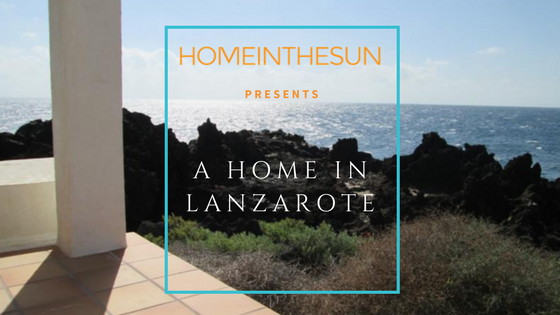 HOMEINTHESUN estate agents in Lanzarote offer a professional and honest service with the only aim to make clients relax during the process of buying or selling a property in the island, with a unique approach to client care and providing with real advice depending on your needs, it doesn’t matter if you want to Sell or looking to invest or if you want to make Lanzarote your home we have your back. Want to arrange a viewing or do you need a free estimate of what your homes worth? Looking for property or want to sell your property in Lanzarote?